We hear the terms activewear and athleisure wear used interchangeably all the time. But what exactly is the difference between the two, and how do you decide which pieces fall into each category? Activewear is clothing that is designed solely for you to wear while working out. 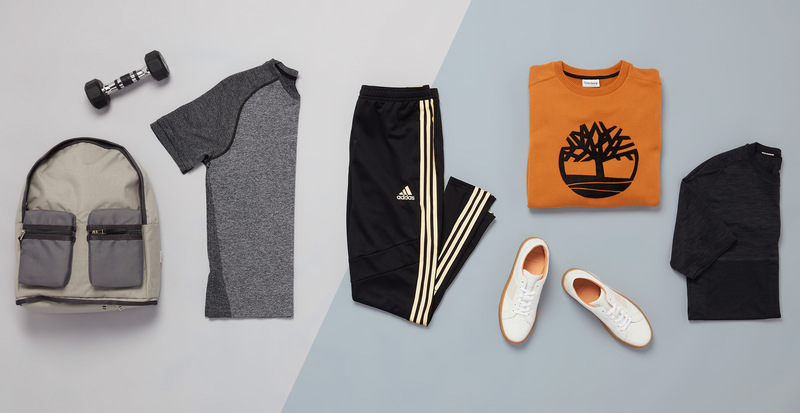 Athleisure is sporty clothing meant to be worn casually. The good news here is that depending on the item, it can actually fall into both categories—which is great for double-duty functionality. To help you get the most out of your favorite pieces, we’re sharing a few style tips ahead. Workout: If you’re planning on taking your routine outdoors, go for fitted jogger pants and a hoodie to protect you from the elements. Lightweight shoes with cushioned soles are important for providing your feet with the proper support for any activity—including a Curry-level three. Hangout: Grabbing beers? 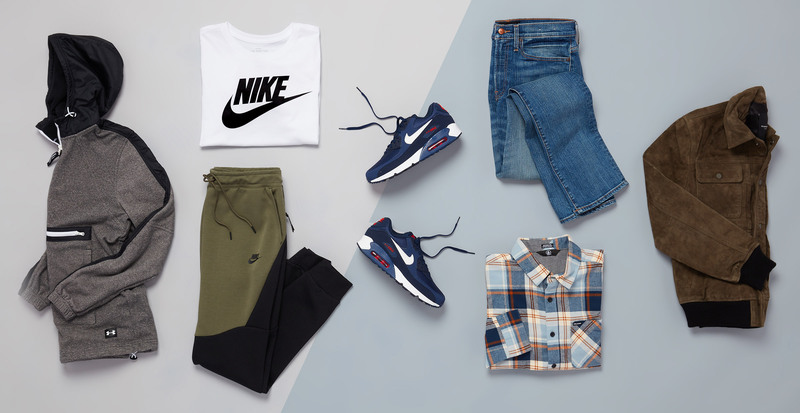 Slim-fit jeans pair well with sneakers, and a casual button-down is a fool-proof addition. Topping the look off with a bomber jacket is a cool way to add texture and stay in that sporty arena. Workout: Non-restrictive clothing is the name of the game when putting in work on the bike. A performance tee helps to wick away any moisture, and like our spinning expert recommends, long pants keep you comfortable during this low-impact workout. Hangout: The good thing about tapered pants is that it creates a more polished vibe than old-school sweats. 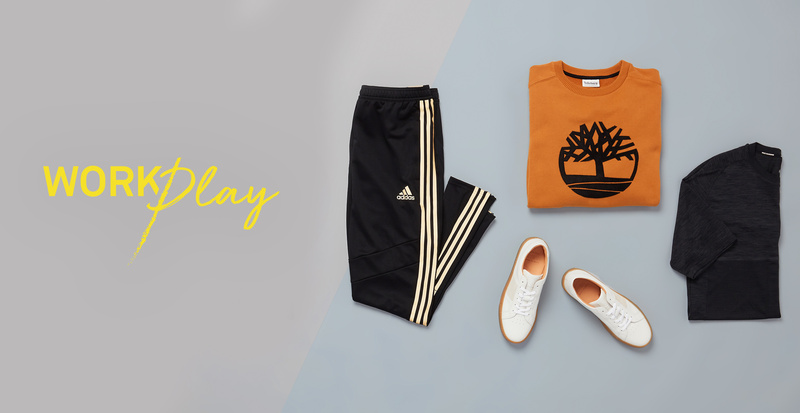 Style with a brightly colored sweatshirt and flat-soled sneakers for an outfit that is as eye-catching as it is comfortable.